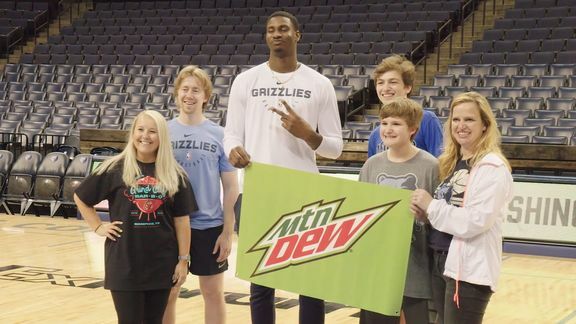 Memphis, Tenn. – The NBA announced today that Grizzlies forward/center Jaren Jackson Jr. has been selected to participate for Team USA in the 2019 MTN DEW ICE Rising Stars during NBA All-Star 2019 in Charlotte. The 25th Rising Stars will pit 10 first- and second-year NBA players from around the world in the league’s annual showcase of premier young talent. The game will tip-off at 8 p.m. CT Friday, Feb. 15 at Spectrum Center in Charlotte and will be broadcast live on TNT. Jackson (6-11, 242) has appeared in 51 games (49 starts) and has averaged 13.5 points, 4.6 rebounds, 1.1 assists and 1.49 blocks in 25.8 minutes while shooting 51.3 percent from the field, 32.8 percent from three-point range and 77.9 percent from the free throw line since he was selected by Memphis with the fourth overall pick in the 2018 NBA Draft. He leads all rookies in total blocks (76) and ranks second among first-year players in blocks per game (14th in the NBA), third in field goal percentage and fifth in scoring average and steals per game. 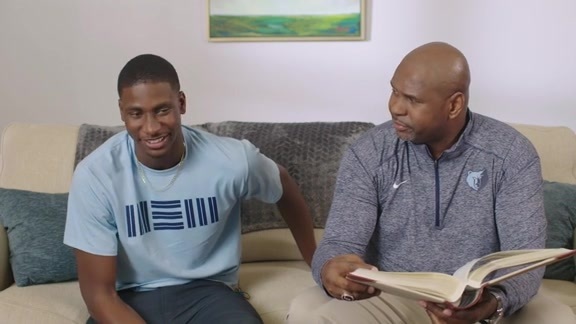 The NBA’s second-youngest active competitor, who turned 19 years old on Sept. 15, recorded the highest single-game scoring effort by a rookie this season with 36 points on Nov. 30 at Brooklyn. With this career-best performance, the Michigan State product became the third-youngest player in league history to record a 35-point game (LeBron James, Kevin Durant), and only three active players have registered higher single-game scoring efforts as teenagers (James, Durant, Carmelo Anthony). 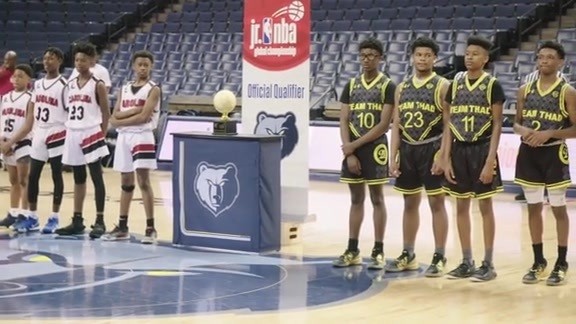 Jackson becomes the 16th Grizzlies player to be named to the Rising Stars or rookie challenge, joining Dillon Brooks (2018), Marc Gasol (2009, 2010), O.J. Mayo (2009, 2010), Mike Conley (2008), Juan Carlos Navarro (2008), Rudy Gay (2007, 2008), Drew Gooden (2003), Pau Gasol (2002, 2003), Shane Battier (2002), Mike Bibby (2000), Michael Dickerson (2000), Antonio Daniels (1998), Shareef Abdur-Rahim (1997), Roy Rogers (1997), Bryant Reeves (1996).